Chef-educator Roxanne O’Brien wears many toques. She’s a cheesemonger who helps judge competitions at the California State Fair, and she maintains close ties to the American Cheese Society, a major player in the cheese industry. As an instructor, she teaches Mediterranean and American regional cooking to 400 students enrolled in the Culinary Arts & Hospitality Management Program at American River College (where she oversees its catering program). Add to that: olive oil authority, restaurant consultant and master of multiple global cuisines, including Spanish and Chinese (she studied with Martin “Yan Can Cook” Yan). Now O’Brien and local food entrepreneur Jody Lagorio have turned their mutual love of cheese into a program of hands-on classes (both public and private), tastings and pairings, teambuilding sessions and custom catering, called C’est le Cheese. It’s the reincarnation of the C’est le Cheese tastings and pairings Lagorio started in 2009, held at successive venues in midtown until 2014. 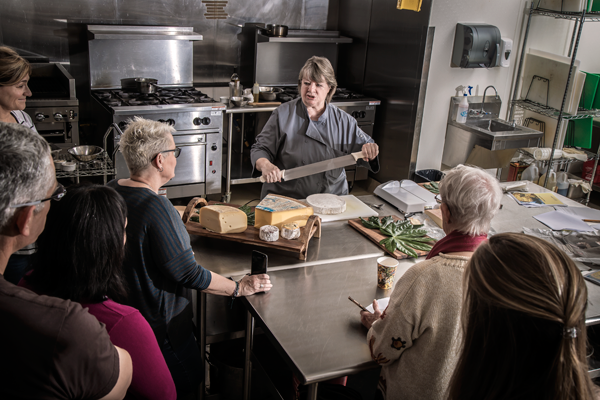 Two sold-out classes have been held so far—“Creating Beautiful Cheese Boards” and “Cheesy Pies & Tarts.” Coming up are “Cheesemaking With Sacha Laurin” (Feb. 22—fresh burrata, anyone?) and “Cheese Appetizers” (March 9), each featuring eight-plus artisan cheeses. O’Brien and Lagorio are now brainstorming their summer sessions. The three-hour classes are $60 each, held at ARC’s state-of-the-art 16,000-square-foot culinary center. 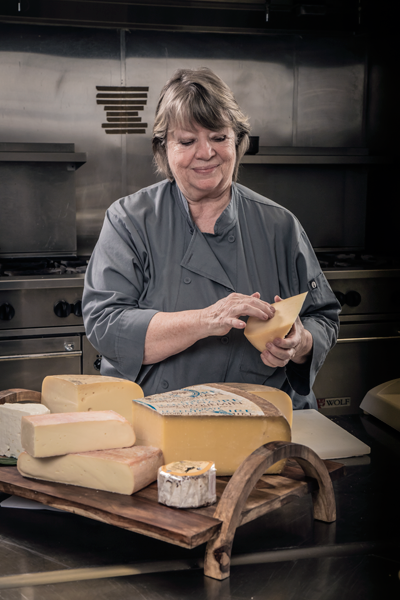 They’re limited to 16 students, led by O’Brien or a guest cheesemaker, such as the very well-regarded Laurin. The culinary center is on the ARC campus at 4700 College Oak Drive; 916-761-7674; cestlecheese.com. O’Brien, who is also a watercolor artist (“My gallery was the Himovitz”) and calligrapher (“l learned to write with quills on calfskin vellum, using gold”), is now testing recipes for an upcoming cheese cookbook. Which made us wonder: What are her go-to cheeses? O’Brien had been around the culinary block long before joining the ARC faculty 12 years ago. Her first restaurant job was at Fox & Goose the day it opened in 1975. “I’ve been in the food industry ever since,” she says. Next came a gig at the long-gone Basque-centric Sheepherder’s Inn in Rancho Cordova, followed by the role of catering director at First Immigrant Café. O’Brien broke out in 1994 when she and her sister opened Mamzelle Catering on J Street in midtown. All the while, she was teaching cooking classes on the side.